Top 5 Travel Items to take with you. 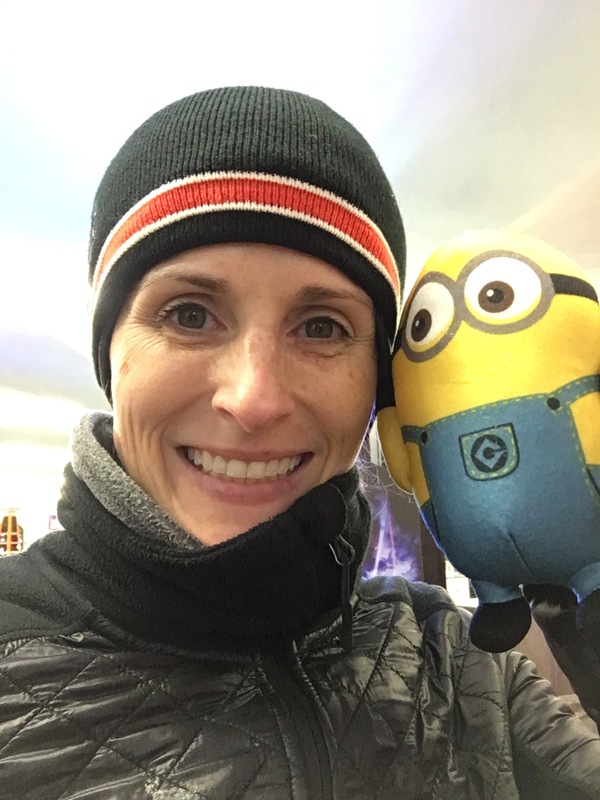 Everyone has them, yes I do travel with a minion, but there’s a story that goes with him, I promise! Those few items that make or break your transit. As the years have gone on I’ve learned to live with less. No matter what these 5 tried and tested items I do not travel without. Headphones. I use Yurbuds Inspire 300 Fitness. I really like how they comfortably sit in my ear and are very compact. They come with a nice small zippered sack so you can store other electrical cords with it. Very convenient. Also, they are great for working out or running. When I travel I don’t want to bring 10 different types of headphones, these work perfectly and they’re discreet. External Battery Power Bank. I cannot tell you how many times this Polanfo 12000mAh Portable Power Bank has saved me while traveling. Like many of us, today we use our phone for navigation or to pull up reservations. I don’t know about you guys but some days my phone feels like it only lasts half a day, others only hours! Having a backup power source has saved me from more than one headache. Backup Camera Batteries! This seems like a no-brainer, right? You would be amazed how many times I’ve thought, “no worries I’ve got enough battery.” In reality, it hasn’t been the case. Now I make sure that I carry at least two additional camera batteries with me, especially if I know I’m going to be out all day. I like to have them on hand in case something goes wrong with my battery. Can I share a quick story here? I was in Yellowstone at one of the prismatic pools, snapping away and so excited to get some great shots. I get to one of the larger pools and set my camera. Wouldn’t you know it, my battery just dies, no warning. That’s not the best part. The best part is that my backup battery is in my car, because when I got out my camera said there was at least a half a battery left. It was wrong. I ended up missing the shot and kicking myself for the blunder so now I always have backups. Travel Pillow. Ok, I understand this may be a bit frivolous, but if you’re anything like me, only a particular pillow will do when it comes to sleep. There are few things that will impede my sleep like a pillow that is too high or too firm. The Cocoon Hyperlight AirCore Pillow is perfect for traveling. It is inflatable so you can set it at any firmness you need. It also compresses down to a palm-sized cylinder that weighs next to nothing for travel. The pillowcase is made of a silky, machine washable material that is so heavenly against your skin. You can use this pillow as lumbar support too! Smartphone. Of course, it’s on the list. Today there are so many apps that aid in travel, how can you afford not to travel with one? All you need is a WI-FI connection and your smartphone will work in any country, and you will not be charged any additional fees unless you make a phone call or send a text. However, you can receive calls and texts and will not be charged for those. I used my iPhone 6s, US-based phone in Norway, Denmark, and the UK with no additional fees! So there are my top 5 items that make travel a dream for me. What are some of your must-haves? Let me know in the comments. Until next time. I always bring a long, wide scarf that can be a blanket on the plane and an accessory when I arrive. That is a great item to bring!